Who really cares about your value if…. …your family doesn’t even know you anymore. If you follow me at all on social media you probably know a couple things about me. 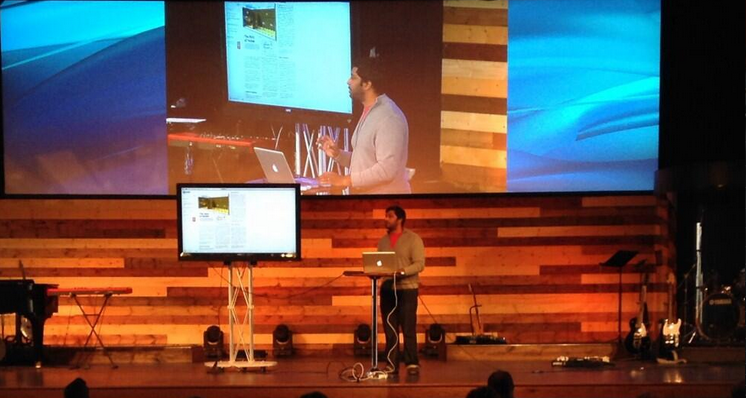 This past week I had the opportunity to speak at a conference called Hydrate in Augusta, GA. The conference had a couple hundred pastors and I had privilege of sharing Logos Bible Software and how Logos can really revolutionize sermon and teaching preparation for ministry leaders. The morning before my session Pete Wilson (Lead Pastor at Crosspoint church, Nashville) spoke. He did a great job but the one thing that he said in a Q/A has been running through my mind constantly. Initially, this was a bit offensive. In my mind I began to justify the immense value that I bring to my job and the church and then instantly it hit me. Who cares about the value I bring to my job or church if my two boys don’t know dad. If you are like me, the motivation to excel in all areas of life is driven by a deep desire to honor God and provide for my family. But in pursuit of good things, if we are not careful, we can single handedly bring significant damage to the relationships and areas of our life that we cherish the most. For me, the resolution to this challenge is simply priorities. It would be easy to list them out and feel satisfied like something massive was just accomplished. But unless it is lived out we will continue in a very dangerous cycle. Transparency and action is key in breaking the cycle. This entry was posted in Leadership and tagged family, Leadership, Pete Wilson, Priorities, Theology by jmuddamalle. Bookmark the permalink.